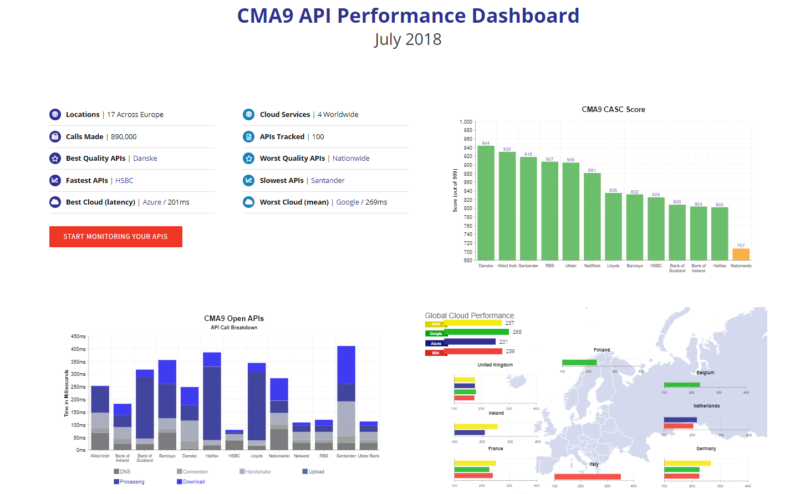 API Performance data for UK Open Banking APIs for CMA9 banks with our free CMA9 API dashboard. Free reports show current quality, geographic performance issues, current uptime and recent live availability. Contact us for details on monitoring read/write APIs and more. To learn more about CASC Scoring please read our knowledge base article. Latency breakdown of typical API transaction times including DNS lookup, handshake, connection time and server side timings. Total API round trip call time from data centers hosted in each region to target endpoint.